The Bay Islands of Honduras offer a very different world from that of mainland Honduras. 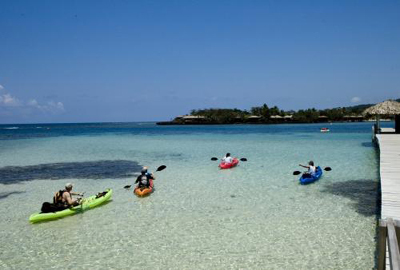 There are several islands with three larger ones being the most popular among tourists: Utila, Roatan and Guanaja. 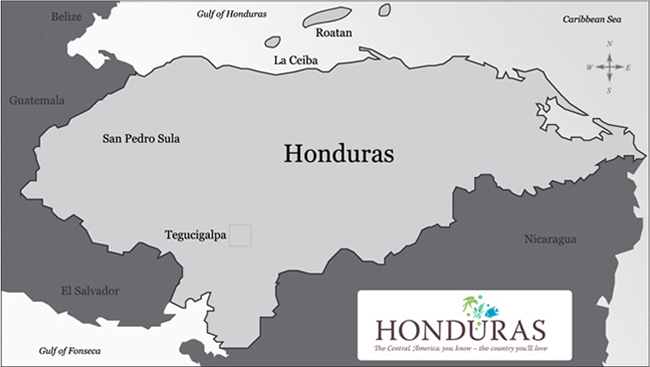 English is so widely spoken in the Islands, that some people don’t even speak Spanish, despite the fact that this is the official language of Honduras! Roatan’s underwater scenery is among the Caribbean’s most spectacular. An abundance of colorful reef tropicals, exciting pelagic encounters, and a diverse and fascinating macro world defines the magic of the Roatan coral reef. Turtles, eagle rays, and literally hundreds of tropical fish species abound. Indigenous toadfish, octopus, and huge coral crabs are visible at night. Dolphins, whale sharks, reef sharks, blacktips, and hammerheads can also be spotted. 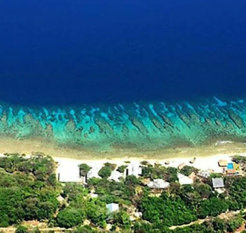 The outer islands offer the best diving and are a quick flight from the mainland. If at all possible try to add extra time to explore the ruins on the mainland. Trips including mainland tours should be longer than a week. 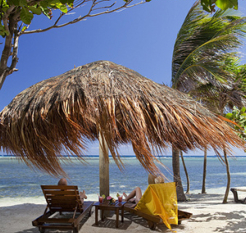 Roatan is the busiest of the Bay Islands with Utila and Guanaja offering quiet getaways. Dive boats leave at 8:30am, 10:30am and 2:30am for single tank dives. If 3 daily boat dives and 2 weekly night dives aren’t enough for you, there is also “Front Porch” reef in the lagoon. Descend to 40 feet or more and observe eel, grouper, octopus, blue tang, parrotfish, angelfish, damselfish, sea fans, star coral and brain coral. There is also a small plane wreck at 30 ft. Front Porch reef is a great location for student or beginning divers. The Barefoot Divers dive shop is a full service PADI 5 Star Dive Center and Instructor Development Center (IDC). Dive with high-quality air or Nitrox and impeccable, well-maintained rental gear, including ScubaPro regulators, ScubaPro & Mares BCD’s & Suunto dive computers. The dive shop offers a photo & video studio, hot showers, private lockers & changing area, well-stocked retail store, and a waterfront veranda for post-dive relaxation. With Barefoot Divers, you’ll enjoy smaller groups (8 divers max), longer bottom times, valet diving service, and PADI dive instructors as your dive guides. Your dive gear will be set up, disassembled, carried, and rinsed for you. Smaller groups allow for more individualized attention and a dive profile tailored to your group’s skills and interests. All 4 dive boats offer sun covers, fresh fruit, water, camera rinse tanks & dry towels, and are equipped with emergency first aid, oxygen, and floater lines. A full range of courses & certifications is offered, from Discover Scuba to Rescue Diver & Divemaster (and everything in-between). Most of the continuing education courses are based on learning while diving, so you won’t be spending too much time studying while earning a new PADI certification. Learn to be a better diver, and get even more enjoyment out of the sport! Surrounded by the world’s second-largest barrier reef, Roatan is a diver’s paradise, offering hundreds of incredible dive sites. 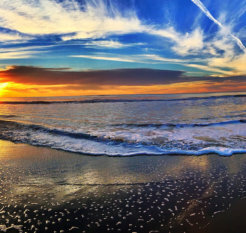 With many sites just minutes away, trips are short and surface intervals are often enjoyed back at the resort. Daily departures are scheduled for 9, 11, and 2. Shark dives, dolphin dives, night dives & 2-tank day excursions with lunch are also available. All sites are part of the protected marine reserve. Pristine coral reefs, coral-encrusted wrecks & diverse marine life….all just a few minutes away. What are you waiting for? CoCo View’s reputation as the easiest place to SCUBA is based on their simplification of the pre-dive preparation and post-dive clean-up for their guests. Maybe this is part of the reason why CoCo View has more return customers than any dive resort in the world! These “CoCoNuts” know that the staff is dedicated to providing them an easy, safe and enjoyable dive experience every time. Below are some highlights. If after two daily boat trips you’re still itching to explore, check out the “Front Yard”. This shore diving haven puts the CoCoView Wall, Newman’s Wall and the Prince Albert Shipwreck just a few kicks away. Enjoy the “Front Porch” 24 hours a day, 7 days a week….air is always available at the 150 tank storage rack. Built specifically to accommodate the needs of traveling divers, Fantasy Island Beach Resort – Dive & Marina features a convenient, full-service dive center and dockage for a fleet of six custom 42 foot dive boats directly adjacent to the spacious guest gear storage area, underwater photo center, compressors, and equipment rental facility. Resort and certification courses, nitrox and nitrox training are offered. If necessary, a hyperbaric chamber is available on-site. The famed south shore dive sites are but minutes away, and when conditions favor the excellent north side diving, Fantasy Island’s private dock along the northern shore allows easy access. For those who prefer to dive from shore or at their own pace, a unique dive gazebo places a mysterious shipwreck, a sunken airplane, a beautiful shallow reef and dramatic wall diving just a giant stride away! 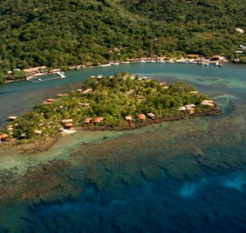 Surrounded by the second longest reef in the world, Roatan is a diver’s paradise. 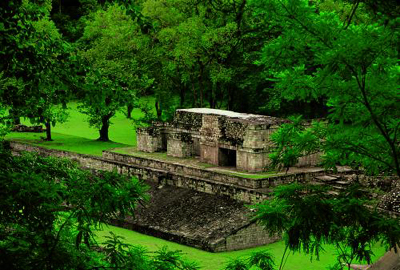 Reefs, walls, caves, deep fissures, shallow terraces, wrecks….there’s a little something for everyone. 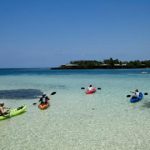 Crystal clear water, over 50 dive sites and a seemingly endless variety of marine life will have you wanting to explore this island far longer than your itinerary permits. Below are some of our favorite dives. This is one of the largest shipwrecks in the Caribbean! Sunk off the north coast of Roatan in 2002, this multilevel ship measures 85 ft from keel to mast and 300 ft from bow to stern. Follow the top of the mast at 40 ft down to the top of the bow at 70 ft. The cargo hole is at 80 ft, the bow at 107 ft and the stern at 120 ft. Explore the steep ridges, flats, fissures and pinnacles that provide the perfect environment for a variety of sponges. Protected reef with plenty of crevices and caverns. Look for soft and hard corals, seahorses, crab, lobster, grouper, blue tang, spotted eagle rays, squid, turtles, octopi, Morays, silversides, nursesharks, and yellowtail snapper. 85 species of coral have been documented here! Walls, caverns, crevasses and eel gardens provide exotic terrain for Morays, octopuses, turtles, drums, wrasses, gobies, ocean triggers, blue tangs, whale sharks, manta rays and dolphins! This channel dotted with caves features tangs, grunts and snapper. This mini wall boasts exciting nightlife! Blue tang, grunts, parrotfish, yellowtail snapper, flounder and sponges agree that this is the place to be…. Swim with the current while you search the semicircular wall for Morays, grouper, black durgon, blue angelfish, creole wrasse, lobster, barrel and azure vase sponges and gorgonians. This mini wall, teeming with life, is a popular night dive. Trigger fish, black durgon, sea fans, grouper, flounder, parrotfish, angelfish, tang, yellow snapper, sponges, spider crabs, eels, brittle stars, basket stars and octopuses will have your mind on overload as you swim with the current. A crevice cut into the northern wall presents tunnels, caves, lobster, reef crabs, glassy sweepers and groupers. A gently sloping shelf that dramatically drops off provides the backdrop for this drift dive. Spot Sergeant majors, parrotfish, red hinds, spotfin, butterfly fish, eagle rays, turtles and a variety of sponges. This exciting drift dive features numerous caves and chutes. One large chute is 30 ft wide and drops to 140 ft. Expect to see grouper, barracuda, spotted rays and hawksbill turtles. This drift dive features grouper, horse eye jacks, barracuda, sea turtles and barrel sponges. 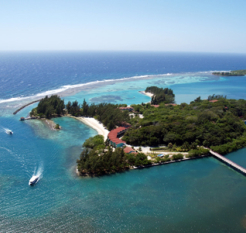 Divers and island lovers will delight in all that Anthony’s Key has to offer. 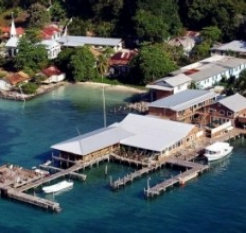 In addition to having access to some of the best dive sites in the world, the resort also plays host to one of the most unique learning centers for marine sciences in the world, the Roatan Institute for Marine Sciences. Here visitors can interact with the institute’s dolphins in their natural habitat. 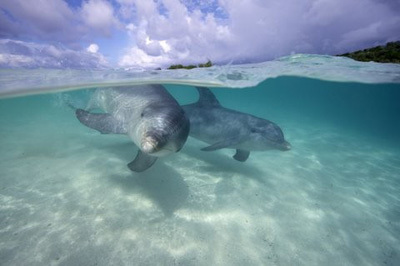 Snorkelers can swim with these fascinating and intelligent mammals under the guidance of RIMS staff near Bailey’s Key. Certified divers have the opportunity to learn about dolphins while observing them in the open ocean on one of the island’s liveliest reefs. RIMS labs and facilities are also open to student groups engaged in research for school credit. 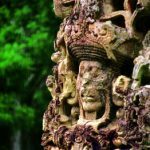 Housed in the same building as the institute is the Roatan Museum, which dispays island artifacts and murals and offers presentations about Roatan’s rich history. 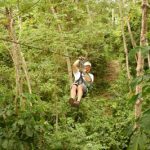 Not far from RIMS and directly across from Anthony’s Key is Bailey’s Key, a wildlife sanctuary where guests can hike a nature trail while observing local flora and fauna. Escape to the Caribbean as it used to be…. 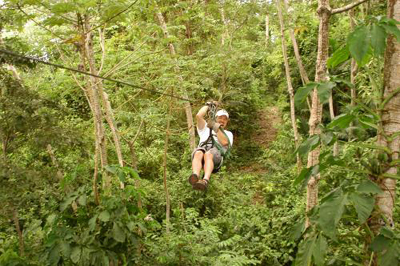 Anthony’s Key, the resort that nature designed, is located on the lush, tropical island of Roatan. Blending in with the natural beauty of its surroundings and nestled in the middle of a hillside jungle on this private palm-covered islet, the resort offers guests palm views of the fiery Caribbean sunsets and the chance to escape the hectic pace of “civilization”. Relax in the privacy of a breezy, wooden bungalow perched on the edge of a shimmering lagoon where peace and quiet are plentiful offerings. There are 56 single unit bungalows to choose from, 10 on the main island a short stroll from the dock and 46 on the key either at water’s edge or over the water. A water taxi takes guests back and forth between the main island and the key. Choose from the following 4 bungalow categories. All are non-smoking. Anthony’s Key is a dedicated dive resort offering scuba enthusiasts full service boat diving and state of the art dive facilities, equipment and instruction. Photo Roatan is a complete photo facility that offers print and E-6 processing, camera rentals, custom shoots and instruction. Of course there is much more to do at the resort than just dive. Take advantage of excellent snorkeling sites just a stone’s throw from the shores of AKR. Horesback ride, windsurf, kayak, canoe, bird watch or hike. Divers, nature lovers or those just seeking to get away from it all will find their escape at Anthony’s Key. The pace is unhurried. The beaches white. The water azure blue. Stay at Barefoot Cay and you will feel ‘a world apart.’ This beautiful retreat provides a blissful combination of island life and luxury living. Four chic beachfront bungalows (below) on the cay, and five stunning oceanview lofts on Roatan’s shore offer guests outstanding accommodations. The resort also has gourmet dining, spa services, and a five star dive center with valet diving, snorkeling, and kayaking. Getting here is easy. A modern international airport is located just 10 minutes to the west, with weekly direct flights from several U.S. cities. Two 1-bdrm Beach Bungalows (left) offer a/c, ceiling fan, king bed or two twins, 32″ flat screen TV/DVD, high speed internet, en suite bathroom with Balinese shower and L’Occitane bath products, safe, full kitchen, covered deck with seating, and a private beach area with hammock and lounge chairs. 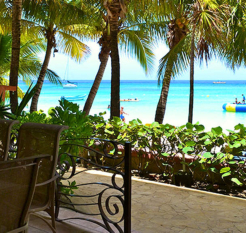 Two 2-bdrm Beachfront Villas can be rented in their entirety or partially if you don’t need both bedrooms. All villa bedrooms include a/c and a private en suite bath with Balinese shower. The villas are designed with separate private entrances for each bedroom wing, and extra-thick walls to make renting a suite or master bedroom a quiet & private experience for all occupants–no different than reserving adjoining hotel rooms. For 2 bedrooms and the living room, kitchen, and beach deck, request an entire villa. For 1 bedroom and the living room, kitchen, and beach deck, request a partial villa – suite. For 1 bedroom only, without the living room, kitchen, or beach deck, request a partial villa – master bedroom only. Between the two master bedrooms is the central living area and kitchen. This area has insulated walls on both sides and interior doors that can be locked. Amenities include a full size sofa and two chairs, louvered doors along one wall that open up completely to the deck and beach, air conditioning & ceiling fans, gourmet kitchen with breakfast bar, full size refrigerator, microwave, toaster oven, stovetop range, blender and coffee maker with grinder, as well as a large covered deck with patio set and your own private beach area with lounge chairs. On the second story of the dive center are five private oceanview lofts, all of which have large decks with views of the Caribbean Sea. A studio sleeps 2; a suite sleeps 4. Total capacity for a dive group is 14. The three Loft Studios (right) each have a combined sleeping and living area with balcony, while the two Loft Suites each have two bedrooms, as well as a separate living room & double-size balcony. The soft glow of candles, romantic music in the background. A gentle tropical breeze coming off of the Caribbean Sea. Delectable entrees are cooked to order, with options to delight every palate. Choose to dine in the main dining area, in the second-story crow’s nest, poolside, or on the dive shop veranda. CoCo View Resort has that rare ambiance that’s usually assigned, quite by accident, to special occasions or perhaps a favorite pair of comfy old deck shoes. You’ll feel it as soon as you arrive. No more planes, no more cars. You are secluded on a private peninsula with trade breezes blowing, the sea slapping the beach, and an orange sun setting into a fathomless hole on the other side of the mountains. Just give your plane tickets to us. We’ll let you know when it’s time to go home….. Some of the most eye opening and extraordinary diving in the Caribbean is less than a hundred yards from the beach. The famous CoCo View Wall and the wreck of the Prince Albert are just offshore and boat dive sites are only minutes away. So relax and enjoy. The food is great, the diving is wonderful and life is fine. But when we wake you from your hammock to give you back your reconfirmed plane tickets, don’t try to tell us you can’t go home because you lost your shoes. We’ve already heard that one. Fantasy Island, located on a private, 21 acre island off the south shore of Roatan, is the epitome of guest comfort and luxury. 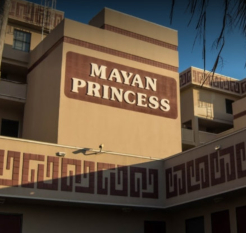 All 109 rooms are tastefully decorated and feature air conditioning, tiled entrances, wood floors, cable TV, refrigerator, telephone, ocean-view balcony and sitting area. Resort amenities include a dive operation with full-service dive center and private marina, freshwater swimming pool, lighted tennis courts, intimate indoor and outdoor lounges, and an elegant restaurant overlooking the beach and sea. Waverunners, powerboats, sailboards, and ocean kayaks are all available to guests, yet not all of Fantasy Islands’s activities are physical. Simply relaxing in a beach chaise with the blue Caribbean gently lapping the broad sand beach may best define the allure of this tropical retreat. Open for breakfast and lunch only, this casual establishment is the perfect spot for checking your email while enjoying a deli sandwich and maybe some home-baked cookies. Open Mon-Fri 7:30-4, Sat 7:30-2. Located on highway near entrance to Coxen Hole. For Caribbean cuisine with an Asian twist, head for Dian’s in West End Village. Fresh seafood and vegetarian dishes are the specialties of the house, and if you like curry you won’t be disappointed! Top it all off with a slice of key lime pie or an after dinner drink. Open Tuesday through Sunday, 6-9. Perhaps the best seafood in town! The cuisine is “island style” and the restaurant is open for all meals. Banana pancakes, anyone? West End Village. Located at the Paradise Beach Hotel on West Bay Beach, this restaurant serves excellent pizza and pasta. If you’re in the mood for a beer, a burger, and live music, head for Roatan Rick’s in West End Village. The Vintage Pearl offers a thoroughly elegant gourmet dinner just a few feet from the water. The menu changes nightly and features selections from around the world. The best ambiance and service on the island, without question. Excellent wine list. West Bay Beach. Reservations recommended. Best breakfast, fresh fruit shakes, and seafood on the island! 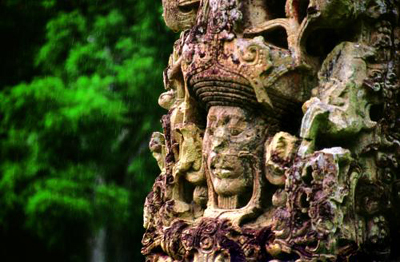 After eating, wander through the tropical gardens decorated with unique art sculptures and mosaics. Popular for breakfast, and with good reason. Located on Main Street in the historic “Island House”, built in 1864. Specializing in BBQ with an amazing array of sauces, Dave’s offers covered, open-air seating, a well stocked bar, and a daily vegetarian selection. Open for dinner, Tuesday-Saturday. Go snorkeling…many dive sites also offer world class snorkeling opportunities! 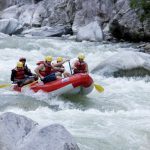 Go white water rafting on the Rio Cangrejal in La Ceiba. 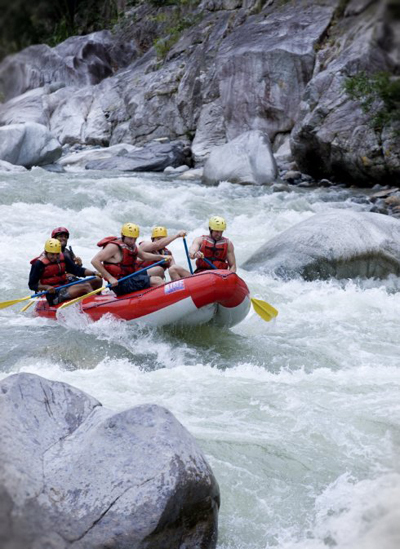 Rapids range from Class II to IV, and the river offers gorgeous views of Pico Bonito National Park. 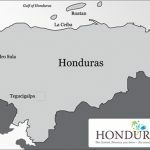 How long are the flights to Honduras? Tegucigalpa is the capital city. There are flights from LAX-TGU which take about 7 hours and 35 minutes with 1 layover. From New York, the JFK-TGU flights are about 5 hours and 50 minutes with 1 layover. 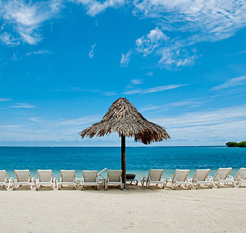 The diving in Honduras takes place in Roatan. 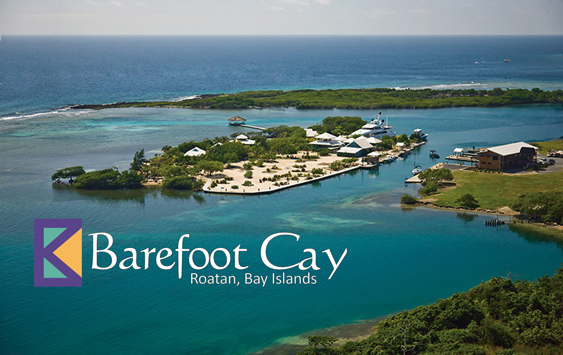 The easiest way to get to Roatan is to plan your trip for Saturday or Sunday through Atlanta, Houston, Miami or Newark. By doing this you can avoid using multiple carriers and you’ll have fewer connections, which means you’ll be decreasing the chances of having your luggage lost. Flights from Houston to Roatan take about 2 hours and 35 minutes and the Newark to Roatan flights take about 8 hours with a layover in Houston. Spanish is the official language. Amerindian dialects are also prevalent, as is English. All U.S. citizens are required to have a passport valid for at least 3 months past the date of entry. You will also need to show a return ticket or onward ticket. Office hours are Monday through Friday from 8:00am to 11:30am. For legal reasons, we cannot make official recommendations regarding shots or immunizations. Please consult with your physician or visit www.cdc.gov for more information. They use both 220 volts and 110 volts. 2 and 3 hole outlets are available. It is advised that you carry your own converter or adaptor. What are the luggage restrictions? Please consult with your airlines regarding luggage requirements and restrictions. 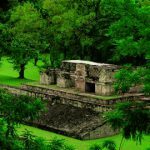 What airlines fly to Honduras? Continental, TACA, Delta and American Airlines fly to mainland Honduras; SOSA or Atlantic Airways service domestic flights from mainland Honduras to the Bay Islands. Will someone pick us up at the airport? It depends on the hotel/resort that you choose to stay at. However, when it comes to your diving, the dive centers usually provide roundtrip hotel/dive center transfers. Please check with the dive shop that will be handling your tours. 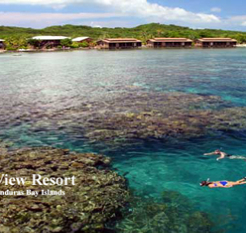 Roatan boasts the world’s 2nd largest coral reef. 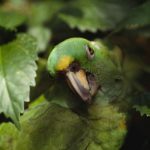 Enjoy wall diving, wreck diving, night diving, cave diving, great shore diving, dolphin diving, caves and crevices, whale sharks, sharks, schools of pelagics, eagle rays, creole wrasse, reef crabs, octopus, lobsters, and the largest variety of vase, barrel, tube and rope sponges in the Caribbean. When will my dive day start and end? What thickness wetsuit do you recommend? While the water can get warm enough to go without one, we recommend divers wear a 3mm wetsuit for protection. How long are the boat rides? Dive sites are within a 15 minute boat ride. When will I receive my documents? E-tickets and vouchers are sent approximately 3 weeks prior to your departure. Subscribe to get the latest updates and promotions.